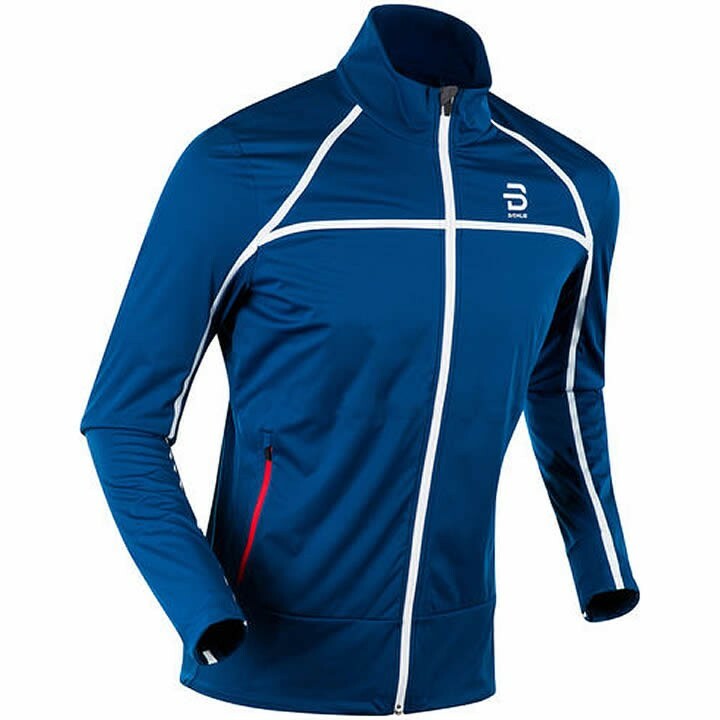 The men's Bjorn Daehlie Trace Jacket is a lightweight cross-country skiing jacket intended for high intensity training. It is the perfect choice for the fastest athletes demanding high performance. Wind and water resistant softshell material with 4-way stretch, makes the jacket very flexible. Stretch panels on the upper back and under the sleeves allow for an extended range of motion and the best possible ventilation. A partially brushed inside provides just the right insulation and elastic cuffs give an excellent fit. Bionic Finish Eco® delivers additional durability and weather resistance. There are two hand pockets with zippers in the front, as well as an inner draw cord at the bottom of the jacket for a customized fit. Taped seams boost protection from the weather even further.